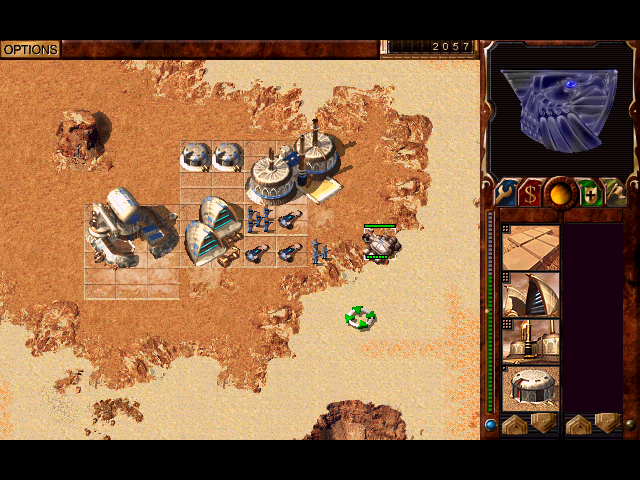 The next soundtrack is based off Westwood Studios's second outing with the Dune franchise: the first time was when they released the classic Real-Time Strategy game Dune II and the second was in 1998 when they released Dune 2000, which is a remake of the original (it's basically Dune II on the C&C engine). While the graphics were dated, even by 1998's standards, the game did have cinematics which included actors such as John Rhys-Davies and it also had an awesome soundtrack by Frank Klepacki, inspired by his earlier work in Dune II. One such track that was inspired by "Spice Melange" on the Dune II soundtrack is "The Atreides Gain" which often plays when you enter a game as the Atreides (funnily enough). It's a more militaristic and suspenseful take on the original track, but you can definitely tell which track it is based off.